With 25% of the country being designated as national parks, it is of no surprise that Panama is a popular destination among naturalists. The country has 14 national parks, of which three are UNESCO World Heritage Sites. We have made a selection of the most beautiful national parks that are worth visiting during your vacation in Panama. 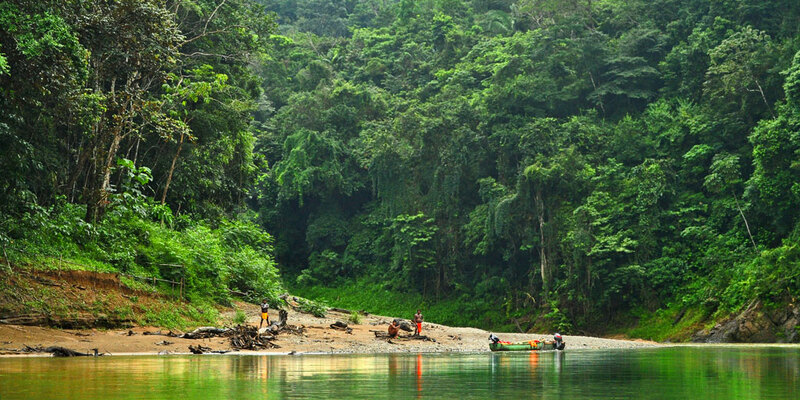 Comprising most of the province of Darien, the Darien National Park is Panama’s largest national park. With 575.000 hectares it is also among the largest protected areas in Central America. The park is located on the border with Colombia and only accessible by plane or boat. This, together with the fact that in 1981 UNESCO declared the park a Biosphere Reserve due to its rich biodiversity, Darien National Park is a pure and ideal place for naturalists. You will find rainforest, rivers, waterfalls and mangroves. The park is inhabited by crocodiles, jaguars, pumas, anteaters, monkeys and tapirs. Bird watchers can discover one of the 400 bird species that inhabit the park and may even spot the Harpy Eagle, one of the rarest bird species in Panama. Make sure to visit Darien with a guide and or an even better experience, go back in time and visit one of the indigenous tribes that is still inhibiting Darien: the Embera and Wounaan Indians. In the South West of Panama, on the pacific ocean, you will find National Marine Park Coiba. The park is comprised of and protects the island Coiba and 38 smaller islands in the Gulf of Chiriqui. The area is home to dolphins and sharks and between July and October, it is a popular destination for whale watching. 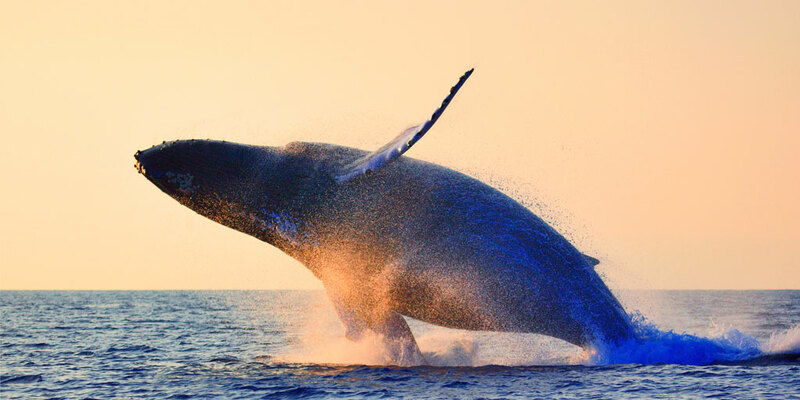 You will find humpbacks whales, pilot whales, bryde whales and orca whales. In 2005 the park received UNESCO’s World Heritage Site status and today it is a natural laboratory for scientific research. About 760 species of fish have been recorded around Coiba which makes it an excellent destination for fishing. Because of its rich marine life and vast array of coral reefs, Coiba is Panama’s most popular scuba diving site. In 1983, La Amistad National Park was inscribed on UNESCO’s World Heritage list. It is located on the border of Panama and Costa Rica and is inhabited by four different Indian tribes. Due to the fact that the park covers parts of Panama and Costa Rica, it is managed by both countries. The park is characterized by paramo (alpine grasslands), oaks and glacial lakes. It is an excellent place for bird watching, fishing, canoeing. 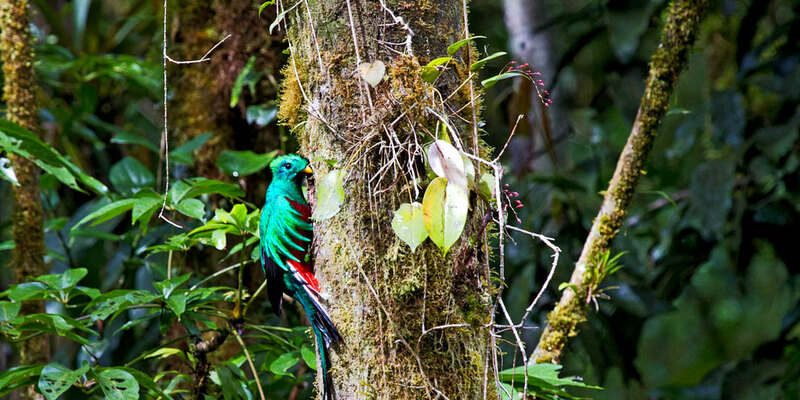 On the La Cascada and El Retono hikes you may be able to observe quetzals and hummingbirds. Only 25 km or a 40-minute drive from the capital of Panama, you will find the Soberania National Park. Due to the fact that the park is home to approximately 500 bird species, bird watchers from all over the world come to Soberania to observe the large number of wrens species, trogons species, puffbirds, motmots and other beautifully colored birds. 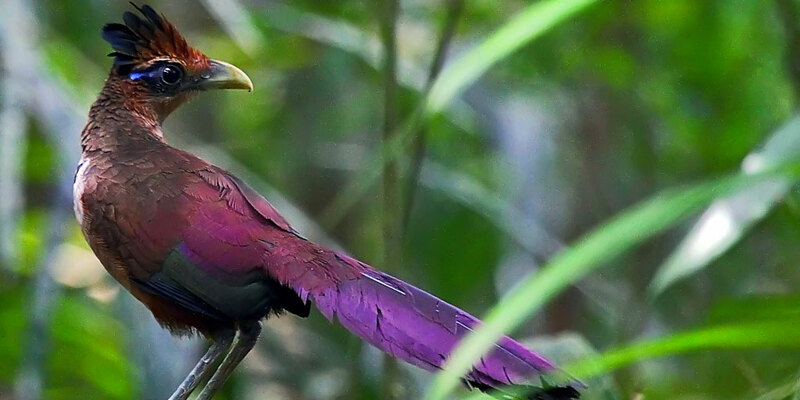 The lucky bird watcher may even spot the rare rufous-vented ground cuckoo in the park. Hikers can walk along the pipeline road, which was built during World War II to transfer fuel. From the Panama Rainforest Discovery Centre you have an amazing view over the trees and will be able to observe the Slaty-tailed Trogon, Cinnamon Woodpecker, Scaled Pigeon, Purple fruitcrow, mealy, Yellow-crowned or Red-lored Amazones. 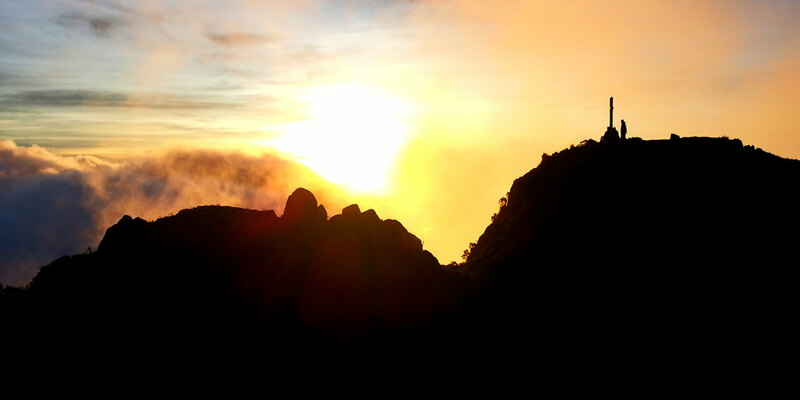 Volcan Baru National Park is located about 500 kilometers from Panama City, in the province of Chiriqui. The highlight of the park is the 3,475 meter tall Volcán Barú, the highest point in Panama. On a clear day, one can see both the Pacific Ocean and Caribbean Sea from the peak of the volcano. 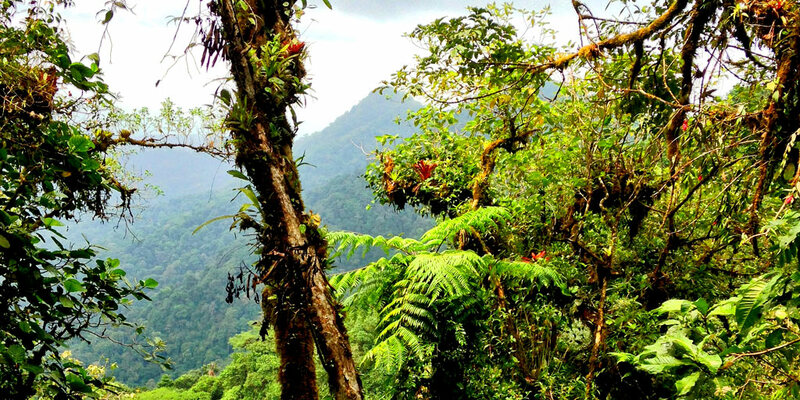 The park is covered with dense cloud forests and is known for its beautiful trails and coffee plantations. The violet sabrewing, white-throated mountain-gem en miniscule scintillant hummingbird are among the beautiful birds that can be observed in this area. The volcano is no longer active and together with a guide, you can hike to the summit which will take you between 4 and 5 hours. Down hill it usually takes around 3 to 4 hours, so make sure you are well prepared before taking on this challenge. If you prefer a shorter trail, consider the paved 20 km Bajo Mono Loop or the 4 to 5 hour Quetzals Trail between Boquete and Cerro Punta. For a more cultural experience, we recommend you to pay a visit to National Park Chagres during your vacation in Panama. When you book a tour to this 129,000 hectares national park between the provinces of Panama and Colon, you will be picked up by a local guide. He will take you to the Embera Village to visit one of Panama’s indigenous communities. During the canoe ride over the river you will already be able to experience the beauty and peace Panama has to offer and spot monkeys and toucans. When you arrive at the isolated village you will receive a warm welcome from the Embera tribe. They have a very traditional way of life and are more than happy to tell you more about their culture. They will share with you how they live, explain to you some of their traditions and show you how to use plants for medical purposes. An interesting experience that will bring you back in time.